Disclaimer: This technical support is provided for information purposes only. 1st-line Equipment, LLC is not responsible for any injury or damages resulting from such information. Please note that if we unsure whether any solution can damage certain types of counter or sink materials. you should also NOT use glass to capture any hot liquids from the machine during this process. Caution: Cleaning detergents listed below are harmful if swallowed. If ingested, drink large amounts of water. In case of eye contact, flush thoroughly with water. Contact a physician in either case. Avoid excessive skin contact. KEEP OUT OF REACH FROM CHILDREN AND PETS. 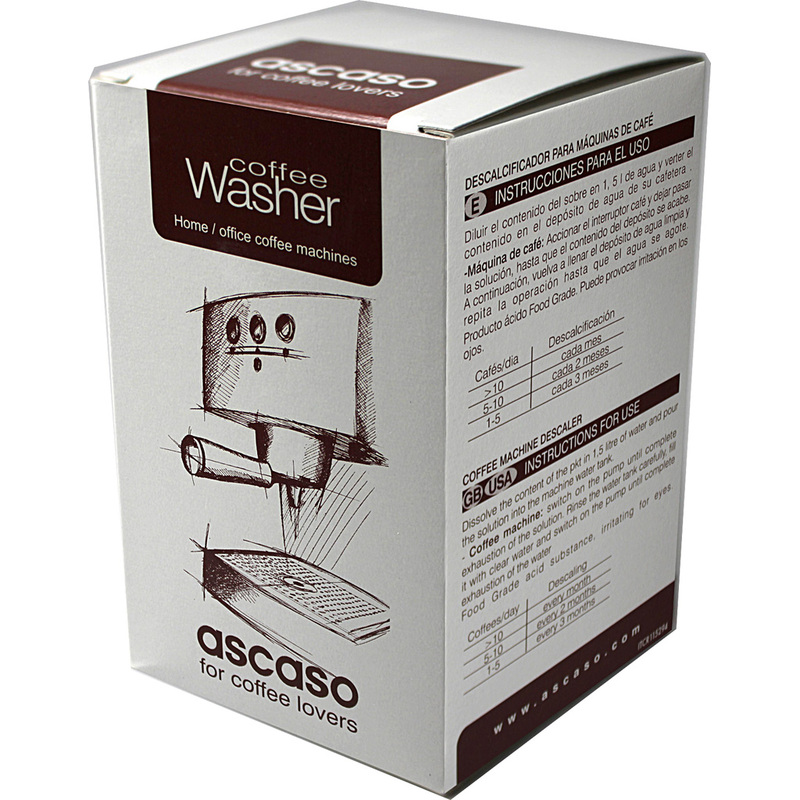 Purpose: To remove limescale deposits, caused by magnesium and calcium, from the internal workings of the espresso machine. Requirements before you start: cold espresso machine in power off position and plugged into outlet, descaling product, mixing container/pitcher, fresh water, and 8 oz or larger cup. If your instruction manual has instructions for descaling, please use those instructions as the primary instructions, and use the following as secondary instructions. Remove water from reservoir and remove any water treatment devices (ie water softener, osmotic pack, etc) from the reservoir or intake hose. Place another cup under the grouphead without the portafilter attached. Press the power switch to ‘off’ when approximately 1/4th of the descaling solution in the reservoir has exited into the cup(s).